If you need a sidewalk repair company, you are in the right place. 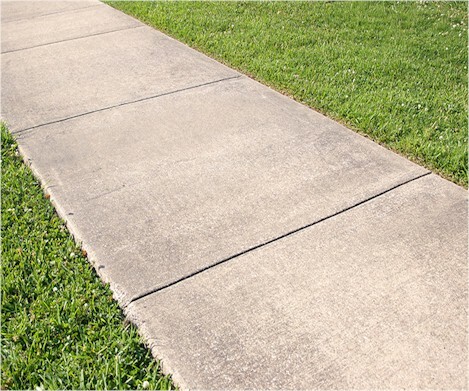 We serve both residential and commercial customers and take on all sidewalk repair projects. We can fix concrete sidewalks, brick sidewalks, stone sidewalks, paver sidewalks, stamped concrete sidewalks, and all other types. We can repair cracked and damaged sidewalks and provide mudjacking service if your sidewalk needs to be raised and leveled. We can also repair or replace any kind of walkway, path, entryway, steps, or anything else you need repaired. Our dedicated sidewalk repair specialists will show up on schedule and do a high quality repair job every single time. We want you to be fully satisfied with our sidewalk repair services, and your complete satisfaction is our top priority. All you need to do is fill out our simple contact form, briefly describe your sidewalk and what kind of repairs are needed, and we will get back to you right away with a free custom repair quote. Sidewalk Repair - Select your State.